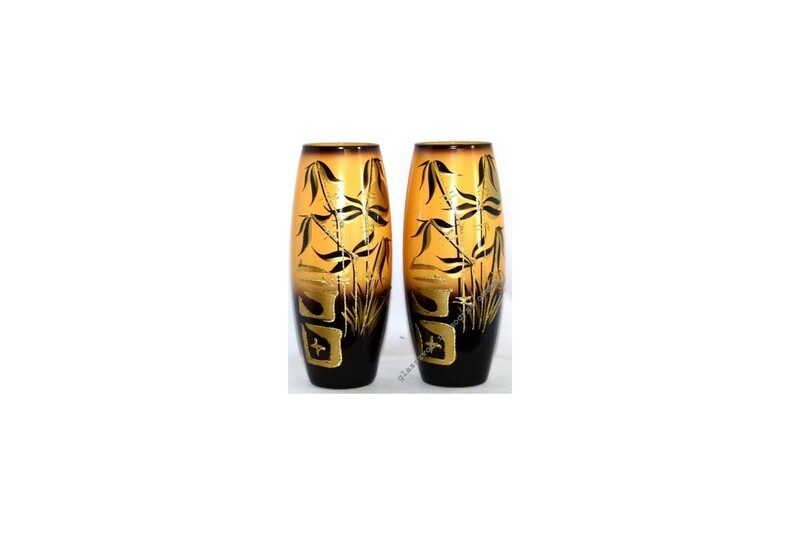 Interior decoration, which is associated with the Chinese style - vases of glass. Wholesale, at a reasonable price. Serves as an independent, unobtrusive element of the decor, or an ordinary flower vase. Gradient-colored transparent glass and art painting. 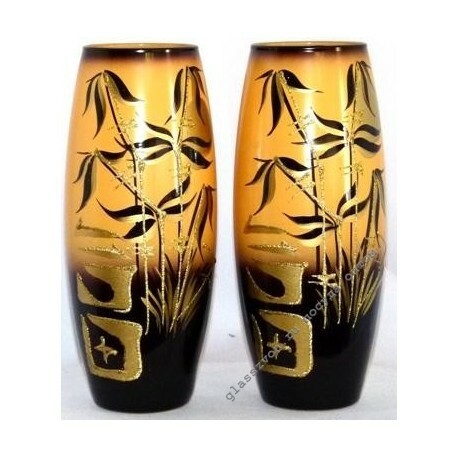 Pale chocolate and golden motifs, similar to hieroglyphs, stylized bamboo stems. A useful article for wholesale purchase and subsequent sale at retail - quality, with a minimum mark-up. Universal - suitable for an apartment, cottage or house, always in fashion.